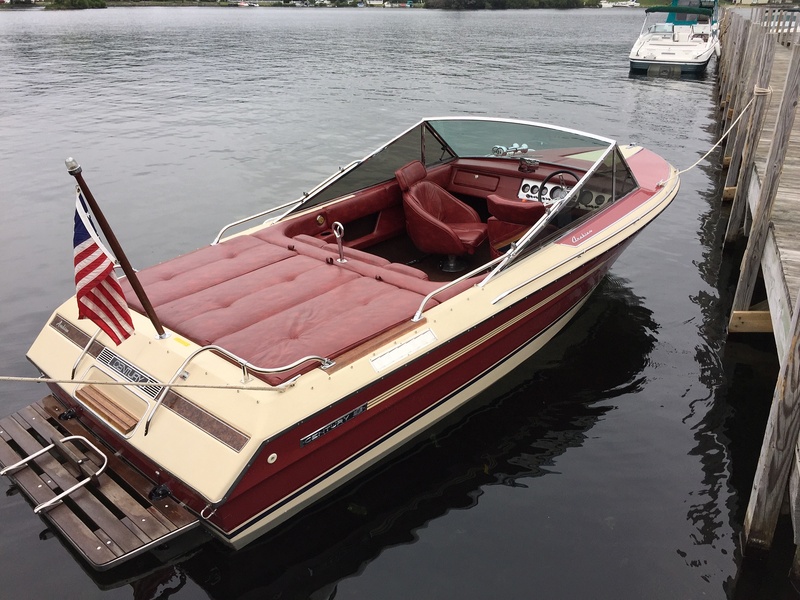 I'm a dye in the wool Merc outboard guy but, could not resist restoring this 83 Arabian. One of this years projects getting mothballed for winter soon....... Ugh. It scored 971/2 points, got dinged for wrong color hose on motor, slight buff through on chrome where canopy top sits and they thought I painted the bilge but I did too good of a glass job using carbon black mixed into the last coat of resin. Good news is the judges are paying attention now to us glass guys! Sorry can't seem to post pics off my iPad???? Even when resized....? Congrats. I love those Arabians. Nice work. 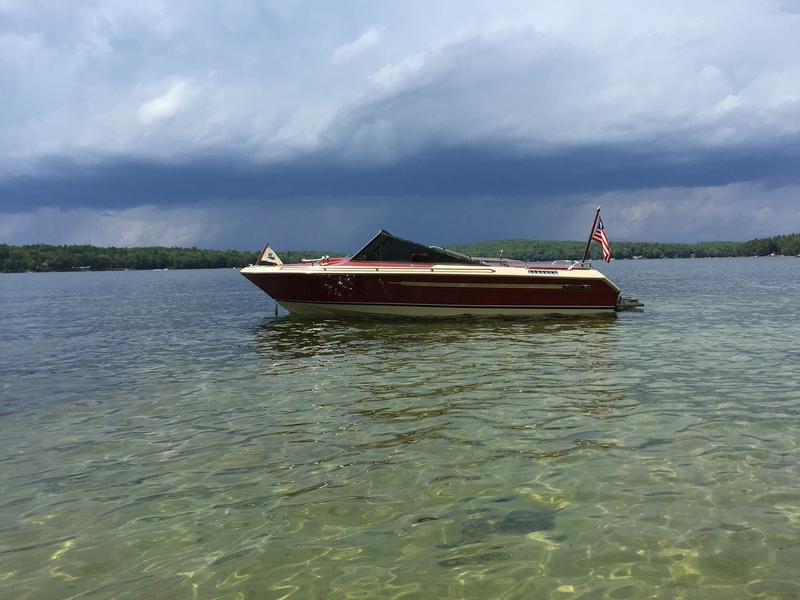 Beautiful boat Randy, thanks for sharing. Hmmm can't see it. Mark how did you see it? Randy, congrats!!!!! Are you a Century boat club member? OK I give up trying to post pics.....till I can figure it out imagination required! I'll give it a try. For some reason this place doesn't like the .jpeg extension on the end of the file. I just changed it to .jpg and I also downsized it some. Now that was worth the wait for the photo. Just beautiful! Glad Doug figured it out! Just copy the link and paste it in (a separate open window) your browser when you see it like that. OK pics seem to be working!!!! I did add another from a different angle to original post at top. So now I can have some fun on the other forums. thanks for the help sorry about all the same photo appearing again and again from every try. Nice boat , is this the same boat next to the Carlson ? Ha yes! I love his boat!!! Young kid who restored his dream boat...did me good to see some young blood with passion for boats.